Squee! May the 4th Be with You is just around the corner - it's one of my favorite silly holidays. 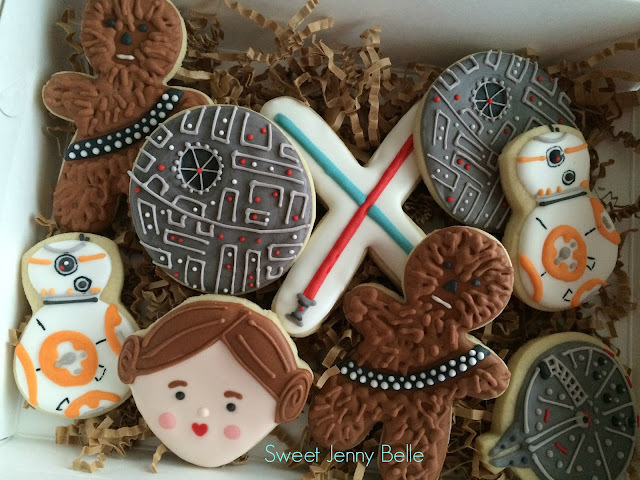 We are huge Star Wars fans and my family looks forward to special cookies or treats. I try to come up with a new idea to surprise them. We watch all the movies, yes we buy them on Blu-Ray as soon as they come out! All my kids have their favorite of the series, even my toddler is a huge Jedi fan. 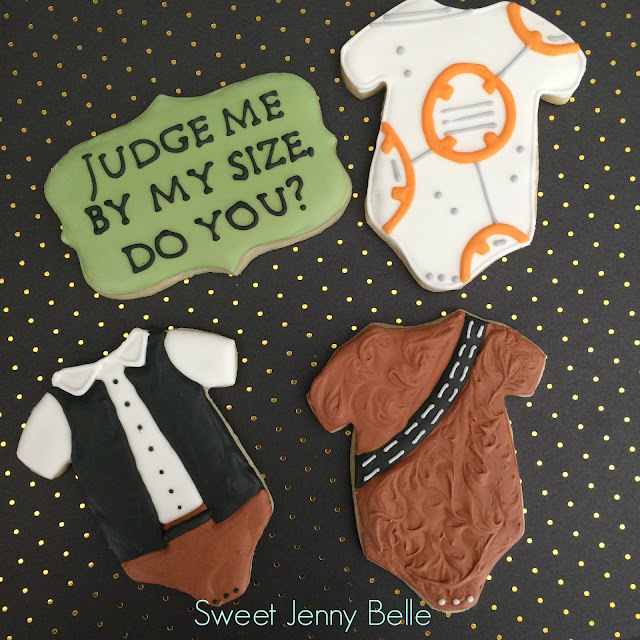 Last year my best friend held a baby shower for her sister-in-law that was Jedi themed. 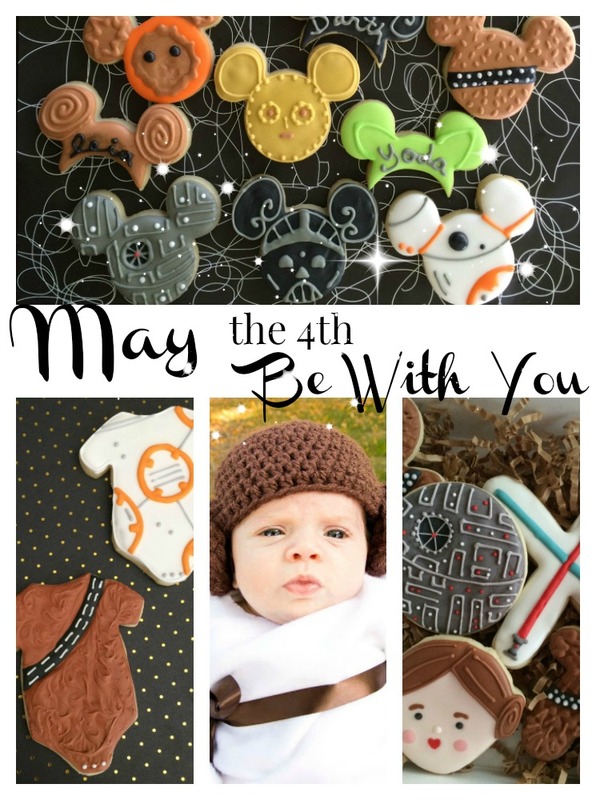 I created a collection of Star Wars decorated cookies. Don't you just love the baby Chewbacca? Come read the tutorial on my post here. Chewie has always been my favorite - and you know what they say, let the Wookie win! 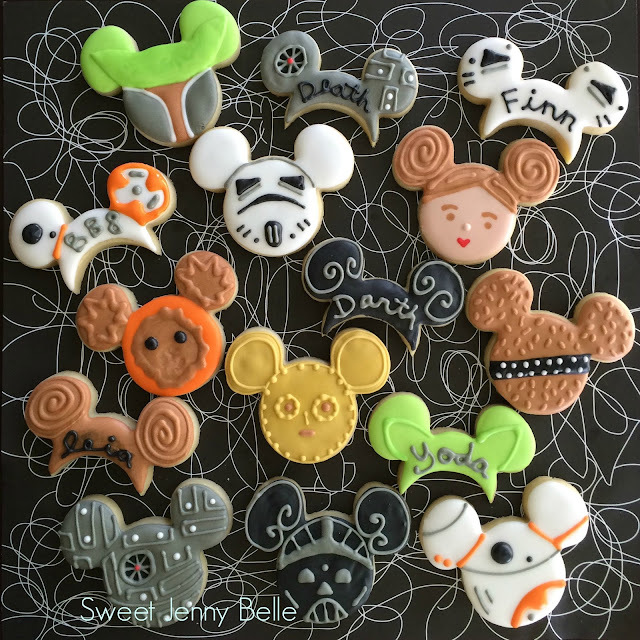 These were the cookies I created for my family last year - aren't they fun? Two of my favorite things - Disney and Star Wars! The heads and hats were both created with a Mickey Mouse cutter - you can pick one up here. I think this would be perfect for a Star Wars themed party favor too. You can read more about these cookies and see my Princess Leia Cake Pop on my original post here. These maybe my most favorite, that's no star, that's the Death Star! With a circle cutter and some icing, you will amaze the crowd with this treat. I have a fun YouTube video and I think you will enjoy trying this one. Stop by and come over to the dark side. That friend I mentioned earlier, well she is quite the blogger and baker herself. And it's no surprise, she's equally crazy about Disney and Star Wars. Karen specializes in cupcakes that are quick for the home baker, so you can spend more time enjoying them and watching The Force Awakens. 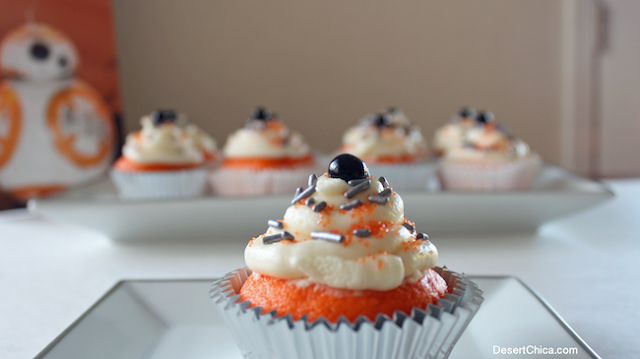 Aren't these BB-8 cupcakes darling? I love them so much and I know my kiddos would go crazy to frost their own. Want to make a batch? Stop by Karen's and read up on the details. 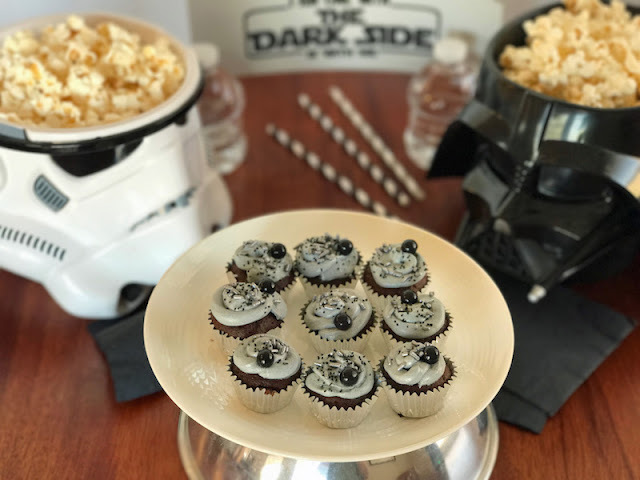 Check out these dark treats - Death Star cupcakes! It's no trap, such a yummy cupcake that would be perfect for this May 4th. What side are you on? 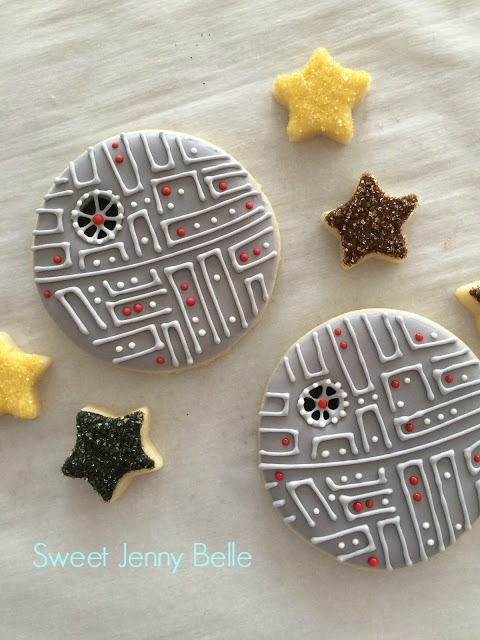 I'm proud to be Rebel Scum, but I would be happy to make these for my crew. Before I started this baking blog, I had a crafting one - All Things Belle. 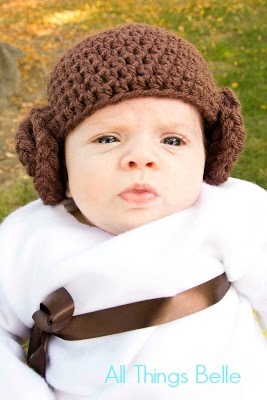 This rebel Princess Leia cap is crocheted and so easy to make. The buns are simply braided and sewn on, but isn't it adorable? I want to make one for myself and can't believe I haven't yet. I am revamping the blog, be sure to stop by for more crafts and quilting in the future! Don't forget to Pin this page and may the force be with you.